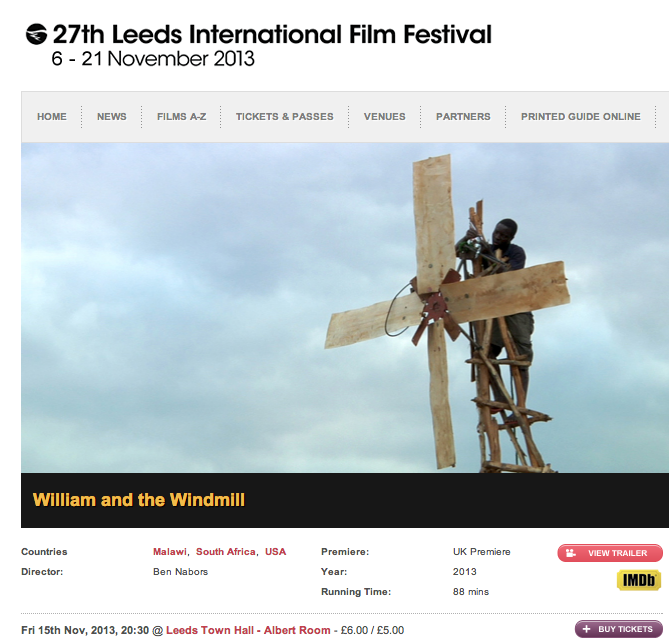 WILLIAM AND THE WINDMILL is playing in the UK on November 15th as part of the Leeds International Film Festival. The screening will take place Friday, November 15h in the Albert Room of Leeds Town Hall. Click through to buy tickets and learn more about the festival.